EDWARDS — That’s why soccer teams work on set pieces. 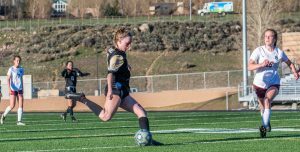 One set piece was the difference on Saturday as Battle Mountain soccer nipped Glenwood Springs, 1-0, for a huge 4A Slope win in Edwards. Rayna Kenney served in the corner kick during the 44th minute and center-back Claire Krueger one-timed it with a diving header for the only score of the game. The goal was great, but also a confirmation that Krueger is in full form after a ankle injury last week sent shudders through the Huskies’ faithful. Junior Cayla Woodworth filled in well, yet Krueger with Maggie Skidmore, Addie Smith, Izzy McMurrain and goalie Wilder Isom make up a nice security blanket for the team. The coach also had postgame kudos — for the parents. They cleared the pitch before the game. Back to soccer, Battle Mountain played well given the game situation. The Huskies knocked the ball around with the slim lead and possessed, taking huge chunks of time off the clock. Kate Mitchell hit the Glenwood post, and Gabby Caballero found the crossbar during the first half. “Maybe, we could have had more, but we had enough,” Cope said. At 9-1 overall and 7-0 in the Slope, Battle Mountain heads north to Steamboat Springs on Tuesday. The Huskies won the first meeting of the year, 2-0. Cope was quick to note that his team scored on a corner and a penalty kick, and not from the run of play. 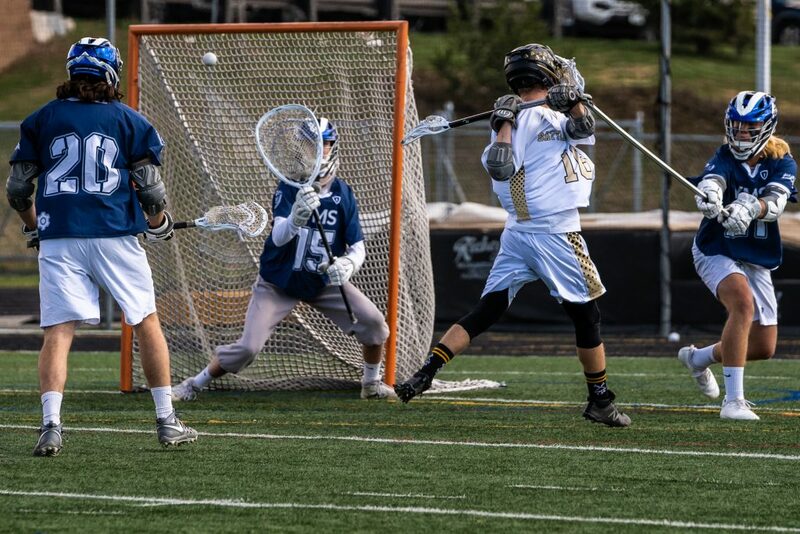 Steamboat is 7-1 in the Slope and tied with the Huskies atop the league table with 21 points. CARBONDALE — Battle Mountain girls lacrosse’s Marley Lindner scored with a minute to go to tie the game, but host Roaring Fork Rams rallied for a 14-13 win on Saturday. The Huskies (2-3) had trailed for most of the game. Quinn Hilgartner, Katie Kessenich and Tatum Huffman all had big games for Battle Mountain. Battle Mountain is at Eagle Valley on Tuesday.